Many of the articles and comments that I've seen connected to your "The Unromantic Jordan Peterson," post seem to reference things in his videos, or in his "12 Rules for Life," book. I don't have time to watch long JP lectures on video when I could be reading, and I haven't read 12 rules for life. I have, however, read his other, older, longer, book: "Maps of Meaning: the Architecture of Belief." This book was written to be something like a theoretical foundation to everything else for him. It's a very large book, and not an easy one. But it's not nonsense, either, and I think it has some things to contribute. "Maps of Meaning" has the ostensible purpose of using comparative religion and Jungian psychology to attempt to formulate some kind of morality that would be not tied to any particular religion. Whether or not it succeeds in this is debatable. If you happen to have an aversion to Jung, especially considering his "red book," I get it. A principle of Order: the laws, traditions, rulers, culture, religion, of a society. Basically, the things that are "known." A principle of Chaos: the unknown, unpredictable, not necessarily safe things that are outside the safe "known" of the society. A principle that mediates between the two: the heroic representative of Order who adventures out into Chaos, to find out what is good in Chaos and use it to transform Order, and to fight against what is bad. Each of these three elements can go "rotten." Order goes "rotten" by being tyrannical, completely closed off to change, or too weak to function. Chaos is, by its very nature, both good and bad, and the mediator/hero's job is to contain the bad and use the good. The mediator can go bad by refusing to venture beyond what Order offers, or by accepting everything from Chaos and becoming decadent. While I can understand while someone would object to Jung's help, or the use of comparative religion, to reach these conclusions, I think they are TRUE. Every society has those things which are a part of it, and those things which are not. Some of those things that are outside the society would be good for it, and some would be bad. And someone has to do the difficult work of sorting between the two. First, JP sees the principle of Chaos, in both her good and evil aspects, as being somehow connected to the Feminine. This is where I think his comparative religion scholarship really shines. He makes the case that the mythological figures that represent the evil and good aspects of chaos are almost universally feminine. Whether or not you buy his quasi-biological explanation, that the female role in the process of pro-creation is a hidden, mysterious role, while the male role is an un-hidden obvious one, he would contend that one tampers with this association at your peril. By reflection, JP sees the principle of Order, in both his good and evil aspects, as being somehow connected to the Masculine. He has mythological arguments for this too. The mediator, then, is ALSO masculine, acting as the representative of Order, working both with and against chaos. Whenever I hear JP calling young men to live in certain ways, I see him as informed by, and appealing to, this schema. And their strong response serves to lend credence to his theory: this is built into them on a subconscious level. Second, the fact that JP is working from a set of universal truths that describe every society, helps to explain some of the contrary accusations against him that fly around: "He's a representative of the therapeutic, utilitarian, neoliberal world order," "he would replace Freudian secularism with Jungian secularism," "he's not really Christian; he reduces all of the scriptures to myths." I do not think that Jordan Peterson is a Christian in the Jesus-is-God sense of the word. But I do think that his picture of the essential elements of society, while perhaps incomplete, is nevertheless true. The therapeutic utilitarian neoliberal world order is a society. The mideval world order was also a society. The church (Catholic, Orthodox, Christian, or otherwise) is ALSO a human society, and has the same features and struggles. When a young man finds himself understanding what human society is all about because of JP, he is more suited for the neoliberal world order (whatever that is. I found all the comparisons between JP and Angela Merkel to be hilarious, myself). But he is ALSO more suited for these other societies, including the Church! This is hardly "Jungian Secularism," or "Reducing Christianity to myths." If anything, it is what you have to understand before you can really make the decision between the various options. Third: While JP might not have a lot to say about the actual ideal society in Maps of Meaning, there are several things that he knows society should NOT be: He knows, and has a theoretical foundation to back it up, that the Principle of Order should never have absolute dominion over the thoughts and actions of the citizens. He knows, and has a theoretical foundation to back it up, that The Principle of Chaos should never remove all boundaries on human behavior and limits on human desires. He has a theoretical foundation to make a SECULAR case that men and women are complementary, and that their union is among the most fundamental, and most perilous, of human endeavors. Anyone who objects to thought control by the so-called PC police (whoever "they" are), anyone who thinks that abandoning certain traditional moral standards is going to have bad consequences, anyone who thinks that heterosexual marriage is both normal and requires the societal support of traditional structures, anyone who thinks that traditional gender roles aren't solely the result of the Evil Patriarchy, should find a kindred spirit in Jordan Peterson, one who is articulate, theoretical, practical, and willing and able to talk in a secular way. Does that answer your questions? No...but I've never heard anything JP say about love or romance or relations between the sexes, that wasn't somehow informed by this schema, and to get mad about what he says without understanding it is to throw out a potential resource without understanding it. Is Jordan Peterson SAFE? Of course not. But considering how much damage has been done throughout history from misinterpreting Jesus' words, Jesus Himself isn't exactly "safe" either. "You are over the edge of the wild, and you are in for all kinds of fun wherever you go." Ron: Jordan Peterson (JP) doesn't need a priest or anyone else to 'defend' him. And I don't find this article is worth discussion. JP speaks from the heart and is far more understandable than this article. JP is a very lighted soul and a truly great human being who is obviously making a huge difference to the lives of many people especially young men. I suspect that much of JP's angst and tortured inquiry processes stem from his apparent acceptance of false and misleading information in the Bible and especially the Old Testament (Torah) which is a pastiche of lies and half truths written by politically motivated Levite plagiarists some 2600 years ago. The Torah includes many lies and barbarous, genocidal injunctions and should never have been included in any document purporting to represent the teachings of Jesus the Christ. The Pharisees also inserted many lies and half truths into the New Testament portion of the Bible. Those lies grossly distorting what Jesus taught. JP appears to accept some of those fundamental lies, notably the idea that ensouled human beings are primarily physical entities existing in a separate material reality from the Creator whereas the Creator enlivens ALL of Creation ALL of the time and without that presence the Cosmos and its creatures would not exist. Human beings represent the peak of the Cosmic physical evolutionary project because each individual ensouled human is indwelt by a spark of Creator consciousness which makes each and every one an 'only begotten son or daughter of God'. This means that Jesus was NOT the ONLY, 'only begotten Son of God' as the Pharisees' LIES in the Bible have pretended for almost two millenia. It follows that we humans do not need external assistance from religions, priests or gurus et al, to "find" God. We merely have to 'go within' to experience the divine presence. That means we don't need some external divine intercession let alone some alleged "sacrifice" by Jesus the Christ in order to be "saved". Each human must "save" self by learning from mistakes (so-called sins) and as a result, changing his or her thoughts and behaviours which results in an increase in consciousness. In this connection be aware also, that Jesus did not die on the Cross but was resuscitated and went to Damascus where he frightened the bejabbers out of Saul of Tarsus (St Paul) before going to india where he married and had children and lived to about age 115. The difficulty JP has with the concept of the resurrection seems to centre upon the false notion of "the resurrection of the body". That didn't occur with Jesus as he didn't die but was resuscitated. The real meaning of the resurrection story is that the spirit that enlivens the physical body never dies but is eternal. Once created by the Creator an individual spirit cannot cease to exist except if that spirit, which is an individual MIND, chooses in full awareness and consciousness, to cease to exist. Apparently Lucifer made such a choice recently after having been adjudicated in the appropriate Nebadon jurisdiction. Lucifer apparently could not face the fact of his errors and consequent necessary rehabilitation processes and chose uncreation. In fact the spirit that enlivens our physical body ordinarily cannot 'die' and merely transitions into another dimensional realm when it ceases to overshadow and enliven our physical body, ie when the biological body ceases to function. We also need to remember that while it is enlivened by our spirit, the physical human body is constantly renewing itself from the divine energies surrounding us which create everything in the Cosmos. Thus a fully mature spirit can 'will' the renewal of the body s/he inhabits indefinitely, as a matter of choice. This means that in appropriate circumstances a human can live for hundreds or even thousands of years apparently retaining the same, albeit constantly renewing, biological body (meat suit). the Bible hints at this in the stories about Methuselah and Noah. Jesus incarnated to teach divine truths lost and corrupted by Pharisees and others over millenia. He did not come to establish a religion or to sacrifice himself for our "sins", ie our mistakes made in learning about life the universe and everything in order to progress in knowledge, wisdom and spirit so that we can eventually progress through the Creation and meet with the Creator. Each human being is gifted by the Creator with a unique mind and personality, ie a non material, eternal spirit mind. The assumption that we are merely physical beings has lead to the false idea that we are only our physical bodies whereas human beings are spirits having a physical experience in a temporary material meat suit. Because our spirit is enlivened by a fragment of Creator consciousness we are NOT our material bodies but merely experience physicality using them. Thus the thoughts and feelings with which JP wrestles are the normal processes attendant upon spirit beings thinking about their existance while living in a material Cosmos and unaware of their divine origin, purpose and worth. Through our experiences in physicality we eventually learn the truth about our self and the material Cosmos, ie life, the universe and everything. 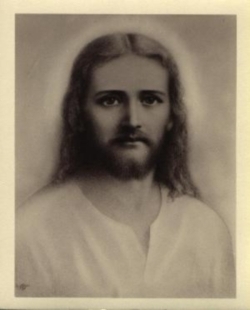 This process involves a very long period of trial and error but there is no limit to the incarnations and length of time an eternal spirit can take in an eternal Creation in order to achieve AT ONE MENT with the Creator and Creation. To get a realstic appreciation of the sincerity and depth of Jordan Peterson's soul and spirit I recommend watching and listening to the video entitled: Jordan B Peterson - Liberty University - https://www.youtube.com/watch?v=aDepoPl1oEM]. Jordan B Peterson - Liberty University - https://www.youtube.com/watch?v=aDepoPl1oEM].